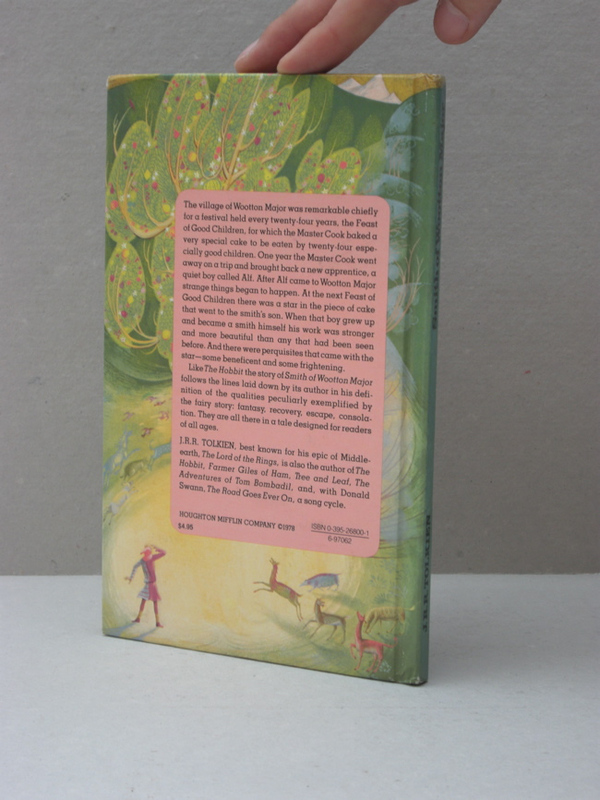 Published by Houghton Mifflin in 1975, 1st Edition, 2nd impression. 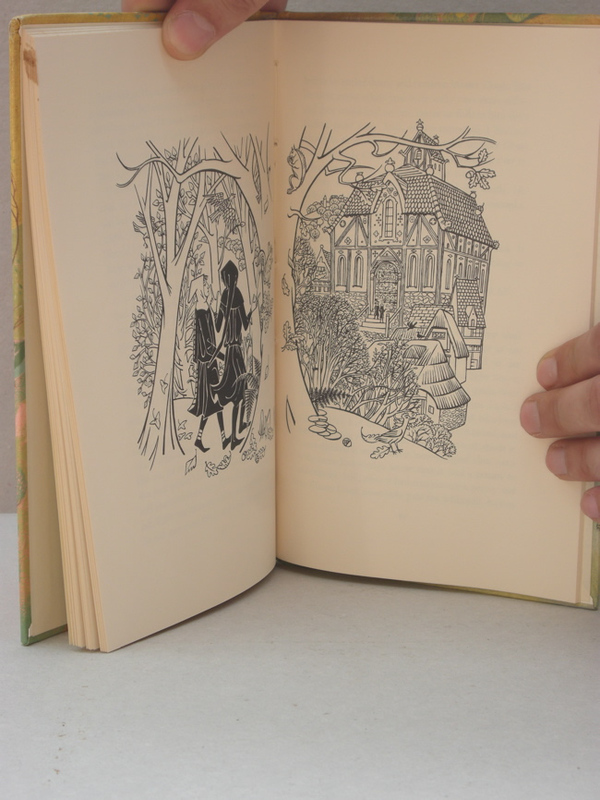 Very nice to see the illustrations of Pauline Baynes in larger format (compared to the UK 1st edition). The spine is not faded, no foxing or offsetting. A minor bump to the right top corner and a brown spot on the front of text block (not visible inside the book). 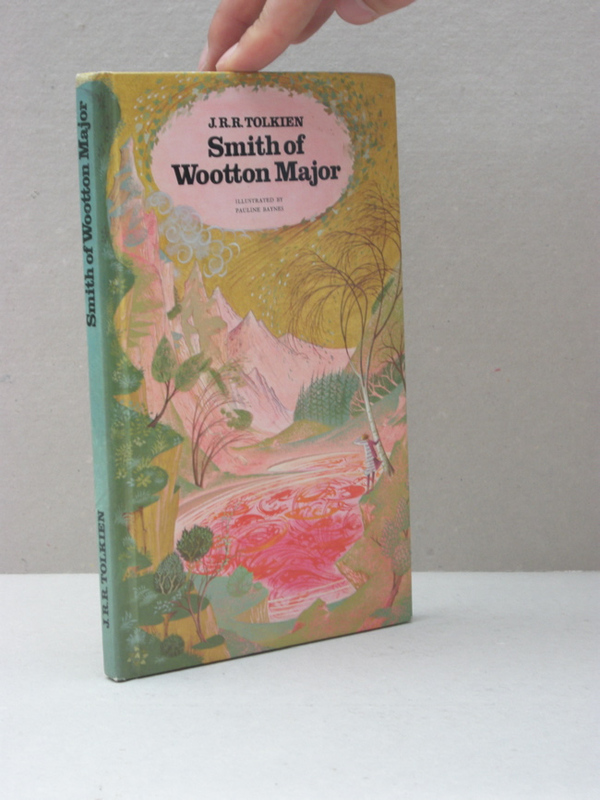 Very fine copy of a very collectable edition of Smith of Wootton Major.